Explore Midtown & Intown Atlanta’s best neighborhoods including Ansley Park, Morningside, Virginia Highland, Candler Park, Inman Park, Lake Claire, Poncey Highland, Old Fourth Ward and homes on the Beltline. Each area of Midtown has its own unique style. Ansley Park is an oasis of gracious, elegant homes on tree-lined lanes surrounding Ansley Golf Club’s beautiful course. The historic neighborhood is located in Intown Atlanta, close to the Atlanta Botanical Garden, Piedmont Park and The High Museum. Ansley Park was selected as our Neighborhood of the Week! Homes in Ansley Park typically range from $500,000 to over $3 million dollars. Learn more about Ansley Park and see Ansley Park homes for sale. See a map of the Ansley Park. East of Poncey Highland and west of Decatur and Lake Claire, Candler Park is brimming with charm. In the heart of Candler Park, you will find a park with a public golf course, swimming pool, playground, tennis courts and sports fields. The northern end of Candler Park joins up with The Path. 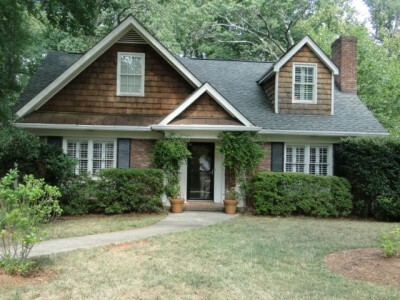 Homes in Candler Park currently for sale range from 2 bedroom, 1 bath bungalow built in 1920 for $350,000 t0 $850,000+. See Candler Park homes for sale. 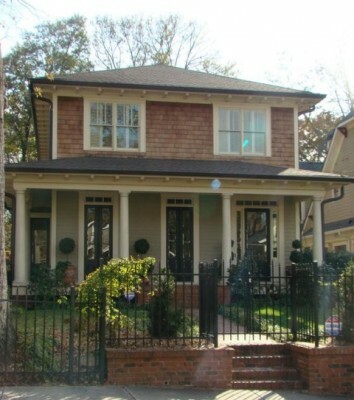 Historic Inman Park, close to Little Five Points, has some of Atlanta’s most beautiful homes. 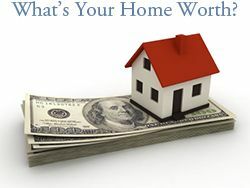 Homes typically range from the $500,000’s to over $1.5 million+. Homes built in the 1800’s to 1920 sit along side newer construction homes. Don’t miss the Inman Park Festival held each April. 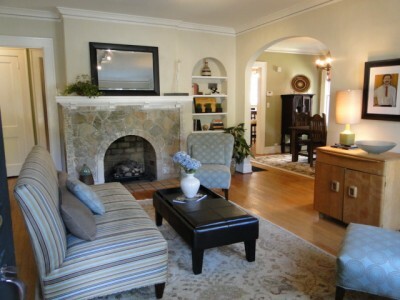 See Inman Park homes for sale. Lake Claire is located east of Candler Park and West of Decatur, close to Little Five Points and Poncey Highlands. With a neighborhood park and walking distance to Mary Lin elementary, Lake Claire is a great neighborhood to explore. Lake Claire was selected as our Neighborhood of the Week! Homes in Lake Claire range from bungalows and cottages for $350,000 to new construction homes in the high $900,000+. See Lake Claire homes for sale. Click here to see a map of Lake Claire. Morningside and it’s adjoining neighborhood, Lenox Park, offers stately homes with splendid architecture on lush lawns. Close to the Atlanta Botanical Garden, Piedmont Park and The High Museum, between Piedmont Road and North Highland, Morningside homes range in price from $500,000 to over $3 million. Learn more about Morningside and see Morningside homes for sale. 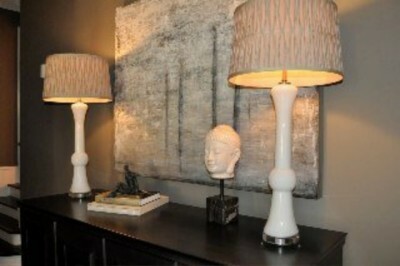 Virginia Highland has a cool, artsy vibe and is popular with singles and families alike. This is one of the best neighborhoods in Atlanta for walkability. The neighborhood has a wide variety of choices for shopping, dining and nightlife concentrated within a few blocks. You’ll find charming cottages, bungalows and even a few new construction homes. Home prices in Virginia Highland currently range from $500,000 to $1,500,000+. 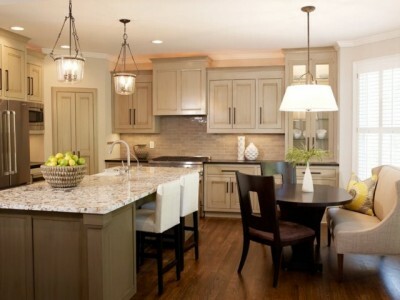 Learn more about Virginia Highland and see Virginia Highland homes for sale. Explore Intown Atlanta’s trendy, eclectic boutiques. Stop by Junkman’s Daughter in Little Five points for something vintage, Fab’rik for trendy and hip clothes with affordable prices or Festivity is Virginia Highland for fun fashions, gifts, and jewelry. At Ansley Mall you will find Cook’s Warehouse, I Play Atlanta and more. The Edgewood Retail District, located just south of Little 5 Points, has Target, Best Buy and Lowe’s. For more shopping, Atlantic Station is an open air, pedestrian-friendly city within the city offering shopping, dining, movies and entertainment. Atlantic Station features Dillards, Ann Taylor, Guess, H&M, IKEA, Old Navy, Victoria’s Secret and DSW Shoes. Atlantic Station also hosts special exhibits and events including Bodies, the Exhibition and Dialog in the Dark. Cirque du soleil also performs in Atlantic Station often. Intown offers a large variety of dining experiences, from fine dining to low priced casual fare. Whichever neighborhood you decide to dine, you will find more local cuisine than big chain restaurants. There’s Parish and Babette’s Cafe in Inman Park; Bacchanalia, FLIP Burger Boutique and JCT Kitchen in West Midtown; Two Urban Licks and Murphy’s in Virginia Highland; Vortex Bar & Grill and Fox Brothers Bar-B-Q in Little Five Points/Candler Park; and Antico Pizza Napoletana and Flying Biscuit – Piedmont in the heart of Midtown. If nightlife is what you’re looking for, Midtown won’t disappoint. Most of the popular Atlanta clubs are located in Midtown, including popular spots like CosmoLava, Primal, Opera, Door 44 and more. For great music, stop by Blind Willie’s or Dark Horse Tavern. Ansley Golf Club – Ansley Golf Club, one of Georgia’s premier 9-hole golf courses is located in elegant midtown Atlanta. This nine-hole golf course has been ranked in the top 5 nationally by Sports Illustrated in annual surveys. Alliance Theatre – Since 1968, the Alliance has served as Atlanta’s foremost theater, working within the local, national, and international communities to become one of the leading regional theatres in America. Atlanta Botanical Garden – The Atlanta Botanical Garden is adjacent to Piedmont Park on Piedmont Avenue and has a variety of year round events. Fox Theatre – A landmark in Atlanta history, the Fabulous Fox Theatre opened in the 1920’s. It is home to Broadway plays, the Atlanta ballet, including The Nutcracker and musical artists from around the world. High Museum of Art – From its stately home on Peachtree Street to its current award-winning buildings the High Museum of Art in Atlanta is a spectacular feast for the eyes. New Highland Park – Construction is scheduled to begin soon on this new park at the corner of N. Highland and St. Charles Place. 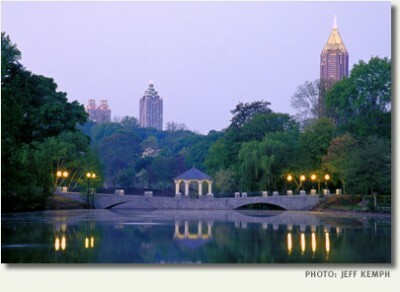 Piedmont Park – with approximately 189 acres, Atlanta’s Piedmont Park is the city’s favorite in-town park for hosting a variety of events and activities. Piedmont Dog Park – Piedmont Dog Park is one of the few locations in metro Atlanta where dogs may run free. This special off-leash area, open since 2002, is one of the most popular features of Piedmont Park. Eat fresh and support local farmers. Visit Morningside Farmers’ Market every Saturday year round from 8am to 11:30am. It is located at 1393 N. Highland Ave. The Green Market for Piedmont Park is open every Saturday from 9am – 1pm, May through December. It is located at Piedmont Park’s 12th Street entrance gate. Recycle. The City of Atlanta offers curbside recycling pickup on a voluntary basis. Every resident is given a small recycling bin when establishing service. Click here for City of Atlanta recycling information. Drive less, take MARTA. There are numerous bus routes and rail routes that will take you to locations throughout Atlanta and Atlanta suburbs. 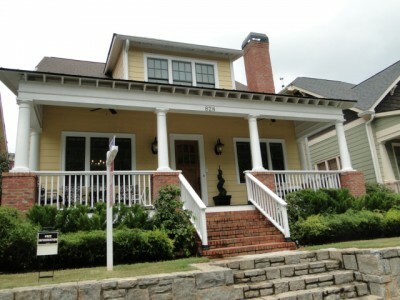 Ansley Park Tour of Homes – Held each October featuring beautiful homes in the heart of Atlanta. Atlanta Dogwood Festival – The Atlanta Dogwood Festival has art, live entertainment ranging from music to comedy, and a variety of food offerings. It is one often considered the city’s favorite free festival. Held each April at Piedmont Park. Atlanta Jazz Festival – The nation’s largest free jazz festival is in Piedmont Park. Cocktails in the Garden – Every Thursday evening from May to September, Cocktails in the Garden provides the only nighttime opportunity to explore the new features at the Atlanta Botanical Gardens which nearly double the size of the Garden. Concerts in the Garden – July – August, enjoy live music in Atlanta’s most beautiful venue, the Atlanta Botanical Gardens. High Museum Wine Auction – Started in 1993, the wine auction is largest fundraising event for the High Museum of Art and is the top charity fundraising event in Atlanta. Inman Park Festival – Held the last weekend in April each year, Inman Park’s popular neighborhood festival features art, music, food and more. Piedmont Park Arts Festival – Set in historic Piedmont Park, this autumn Festival of excellence in the arts is an event dedicated to bringing together outstanding artists from throughout the country with the large and enthusiastic art buying community of the Atlanta area. Lake Claire Home & Garden Tour – held each October, benefiting the neighborhood and Clifton Sanctuary Ministries. Screen on the Green – Watch movies on the lawn at Piedmont park. Different movies will play every Thursday evening during May and June. Admission is free. Uptown Rhodes Race – The Georgia Trust for Historic Preservation invites you to join us for the annual Uptown Rhodes Race 5K. This exciting new run/walk event will start at Rhodes Hall and go through the historic neighborhoods of Ansley Park and Sherwood Forest. VA-Highland Summerfest – Summerfest celebrates the beginning of summer with diverse arts, great food, live musical performances and much more. The festival takes place along Virginia Avenue, in the heart of historic Virginia-Highland. Held in June. Virginia Highland Fallfest – Held each September, the Virginia Highland Fallfest features great music, food and friends! 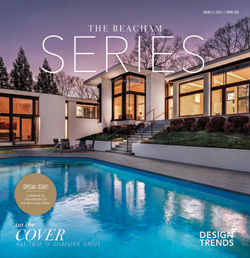 The Virginia Highland Home Tour – Held each December, this event showcases Virginia Highland’s best homes. Read more about Intown Atlanta on our Blog! Midtown Atlanta offers outstanding academic options for children of all ages. In addition to the following list, you can find out more information about metro Atlanta schools at Great Schools. The Children’s Center at All Saints – 644 W Peachtree Street, Atlanta, GA 30308. (404)881-3790. Offers programs for children 6 weeks to 4 years. The Children’s School offers curriculum for children 3 years through Pre K. 345 Tenth Street NE, Atlanta, GA 30309. First Presbyterian Preschool offers curriculum for children ages 18 months to Kindergarten. 1328 Peachtree Street NE, Atlanta, GA 30309. (404) 892-8461. Haygood Weekday Children’s Ministries Preschool and Child Development 1015East Rock Springs Road, NE, Suite 101, Atlanta, GA 30306 404-873-5806 ext. 230offers half day, full day and summer camp programs. Morningside Presbyterian Preschool 1411 North Morningside Drive, Atlanta, GA 30306 404-685-8758 offers Preschool for toddlers beginning at age 15 months through preK. Primrose School of Midtown at Colony Square – 1197 Peachtree Street. Atlanta, GA 30361. (404)745-9797. New in 2010, it is the first urban model for Primrose Schools and was designed for working in-town families. R. Kirk Landon Learning Center – 1015 Tumlin Street NW, Atlanta, GA 30318. (404)249-1500. Early education for children 6 weeks to 5 years. YWCA Atlanta – Northeast Intown YWCA, 957 North Highland Avenue, Atlanta, GA 30306 offers the Early Learning Academy for infants through 4 years old and After school Learning Academy for ages 5 – 12. Morningside Elementary – 1053 East Rock Springs Road, NE, Atlanta, GA 30306. (404) 802-8950. It is located in the Morningside community and currently serves the neighborhoods of Morningside, Lenox Park, Sherwood Forest, Piedmont Heights, and Ansley Park. To check the attendance zone for a particular address, please contact the school office at 404-853-4024 or call APS Facilities Services Department at 404-802-3731. Springdale Park Elementary – 1246 Ponce de Leon Avenue, Atlanta, GA 30306. (404) 802-6050. Also known as SPARK, this beautiful new LEED certified school was built to accommodate the growing number of students from the Virginia Highlands area. The Children’s School – 345 Tenth Street NE, Atlanta, GA 30309. 384 students in grades Pre-K through 6th. Selling your home in Intown Atlanta? Becky combines traditional real estate methods with state-of-the-art Internet marketing. Each home is unique. Becky will meet with you, listen to your goals and customize a marketing plan for you and your home. When you list your Midtown Atlanta home with Becky, your home will be receive professional staging, top quality photography, virtual tour, a website/URL devoted exclusively to your home, custom designed color brochure, agent-to-agent marketing strategies, consistent feedback from agents and buyers who view your home, top negotiating skills and contract-to-closing expertise. Schedule your Free Home Marketing Analysis.